Call our office to set up an appointment to meet with one of our designers. If you are working with a contractor, you may be appointed to a specific designer. Bring a copy of the blue prints or measurements of your room as well as magazine pictures or books with ideas that inspire you. You will meet with your designer where the layout will be discussed and reworked, if necessary, to create the best plan. 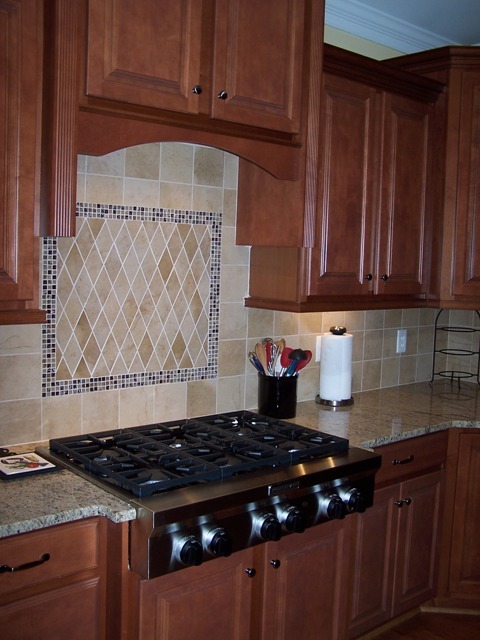 Your designer will go over all the different cabinet, countertop, and accessories options. This is the time to get excited about your new cabinetry, so have fun browsing our showroom! After the selections have been made and the layout determined, you will come back into the showroom to view the computer renderings of your cabinetry and to make any changes to the original design. Once all of the final selections have been made and you understand exactly what your cabinetry is going to look like, your designer will get you to sign the contract detailing your order as well as the computer renderings. Depending on whether you are using a contractor who has an account with us or you are contracting the job yourself, a deposit may be required. It will take several weeks for your cabinetry to be constructed and delivered to your home from the time of signing the contract. Once it has arrived, we will coordinate installation with your builder or subcontractors. Our installation crew will go to your home and install the cabinetry in usually a day or two, depending on the amount of cabinets. If you are getting wood, laminate, or cultured marble countertops, your tops will also be installed at this time. However, our countertop specialists will have to come out to the house and template for granite or solid surfaces. Fabrication and installation of these tops may take a week or two. Although we hope to have your entire job completed at the same time, we understand that when undergoing a large project, unexpected surprises present themselves. Therefore, we have a top-notch service department to handle any of your post-installation issues. If you just give our office a call, we will be please to assist with your all of your needs.